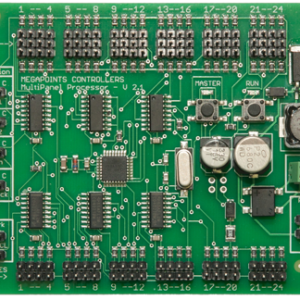 Take control of your traditional solenoid turnout motors with this control board. We’ve engineered out the CDU so they are no longer welcome! 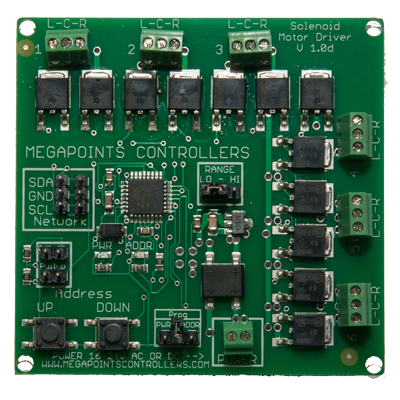 If you have traditional solenoid points motors this board will allow you to control them. 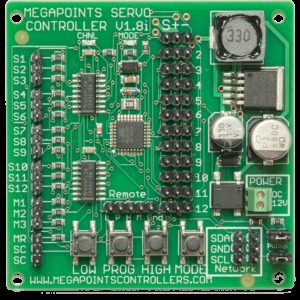 The Solenoid Controller can be used in conjunction with our DCC Module for direct DCC control, or via the MultiPanel Processor for either Analogue or DCC control. 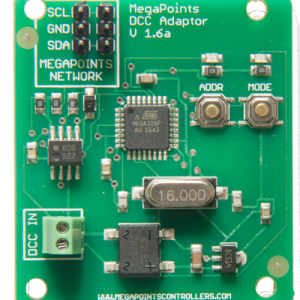 This intelligent control board is powered from any 16 – 24 volt AC or DC power source (16 volts is ideal) and should not be used with a CDU as this board makes them redundant. You are free to toggle the solenoid motors as fast and as often as you like as there’s no capacitor to charge up. Any attempts to switch more then one output at the same time will cause them to switch in sequence very quickly. The board also has adjustable power settings in 5 steps, though for the majority of all installations the default (minimum) setting is sufficient. Only if you have an old and sticky solenoid would you consider increasing the power. 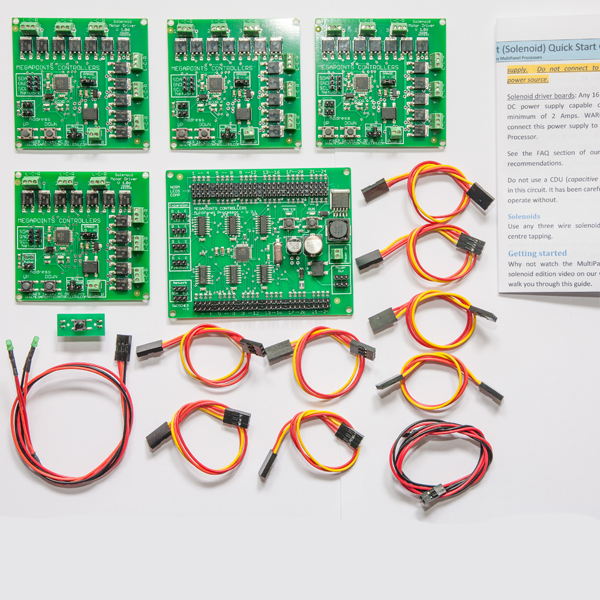 You are free to mix solenoids, servos, Tortoise type stall motors or relays with any combination of this and other control boards in our range.